PUTNI ... that is a possibility to live in a special, unusual world, to nurse it like garden, to seed and grow up ideas, to create and pull down. It's a freedom and a possibility to go your own creative way in the music together with like-minded fellows. Being started as a freelancer project, lived through different chops and changes, and after 15 years being again freelancers, PUTNI continues to affirm it's love to contemporary, specially Latvian music. We give great thanks to Municipality of Riga, Riga Technical University, The Latvian Composers Union, the State Culture Capital Foundation and Riga Latvian Society, as well as to all our friends for their support and cooperation in our originative research.. Conductor, singer and producer Antra Dreģe graduated choir conducting department at Latvian Academy of Music (Master's Degree), where she studied under prof. Edgars Račevskis. Additional and further education is related with different singing techniques and includes training sessions and lectures of the Concrescence Project 2009, organized by Norwegian Academy of Music ( prof. Lasse Thoresen), microtonal solfège for singers (Associate professor Gro Shetelig Kruse), Diphonic chant (Christian Zehnder), the ethnic voice (Assisting Professor Susanne Rosenberg); singing in a vocal ensemble (John Potter and Anna Friedmann ); singing of early sacred music and madrigals (Michael Procter), middle eastern singing (Mustafa Dogan Dikmen). She has been singing in various professional ensembles, such as acoustic rock music chamber ensemble Marana (1986 – 1989), contemporary music and vocal jazz ensemble Riga Vocal Group (1989 – 1990), early music ensemble Canto. Antra Drege has been a soloist in various performances of A. Vivaldi and J.S. Bach cantatas in Latvia, France and Israel. In 1996 A. Dreģe received Master`s Degree from the Faculty of Education and Psychology at the University of Latvia. That same year she joined the Latvian Radio choir performing all over the world both as a choir member and soloist with conductors K.Putniņš, S.Kļava, N.Šnē, T.Kaljuste, H.Holliger, R.Mutti, E.Ericsson etc. In 2011 she was an Artist in Residence in Switzerland. 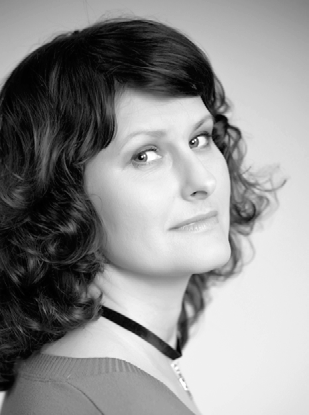 In 1993 A. Dreģe became an artistic leader of professional vocal ensemble Putni with which she has won prizes and gained the Grand Prix in five international competitions and has given over 3000 performances in Latvia, Finland, Sweden, Germany, Switzerland, Australia, Japan, France and the USA. During 1999 – 2015 she has taken part in number of international festivals such as ERROBIKO FESTIBALA (France), YOUrope together (Essen, Germany), IMAGES - foto, cinema, literature et musique (Paris, France), Etonnante Lettonie festival in France and festival Un Printemps Français in Latvia, festivals in Nordkirchen and Oldenburg (Germany), Alpentoene festival (Switzerland), Latvian New Music Days, Forum Wallis (Switzerland), International Organ Music festival in Liepaja, etc. She has made a remarkable creative collaboration with musicians from different countries and produced a number of CD`s and concert - projects with vocal ensemble Putni. As a leader of Putni Antra Dreģe has premiered more than 80 works by composers M.Einfelde, I.Riše, J.Ābols, M.Jansson, F.Vangenheim, V.Pūce, G.Pelēcis, R.Kyr, Ch.B.Griffin, C.Charrière, N.Gotham, D.Aperāne, A.Kupriss, M.Gribinčika, O.Harkovyy, K.Ewald, K.Pētersons, G.Šmite, H.Winkelman, J.Nīmanis, R.Dubra, I.Szeghy among others. She was a senior conductor at the 48th Latvian Culture Days festival in Adelaide, Australia. Projects in which she has been involved include Women in Music (2003, 2004), concert Love Songs, for which she was artistic director during the 24th Latvian Song and Dance Festival in 2008, one of the biggest music festivals in Latvia; master classes in vocal training (2003 - 2007), she has been a member of Juries and an expert of vocal ensemble`s at the State agency of Intangible Cultural Heritage; artistic leader and producer of Swiss – Latvian contemporary chamber opera project Lysistrata in program of Riga 2014, European Capital of Culture. Since 2014 A.Dreģe is the director of new music festival Arēna.